I spent time Monday afternoon talking half of New York off a ledge. Reports that Matt Harvey has a torn ulnar collateral ligament nearly sent Mets fans looking for the closest bridge. Look, there's no good way to look at this, but facts may help. As the Mets wait to see whether or not Harvey will be the next young pitcher added to the Tommy John surgery roster, here are 10 things you need to know about this situation. The Mets announced on Monday that Harvey, 24, had been diagnosed with a "partial tear" of his ulnar collateral ligament in his pitching elbow. The pitcher admitted that he had felt some tightness in his forearm for the last couple starts but felt something "alarming" in his last start. He was sent to Dr. David Altchek, who is both the Mets team physician and one of the top sports surgeons today. Altchek examined Harvey and confirmed he had a low-grade sprain of the UCL. The Mets have yet to place Harvey on the disabled list, as the team is waiting until swelling in the elbow goes down before making a full prognosis in about two weeks, reports the AP. The first rule is that you always avoid surgery if possible. Basically, the athlete and team are gambling that a couple weeks lost on the chance of avoiding surgery is worth the chance. The math works. If only 12 percent of athletes avoid surgery, it's worth taking six weeks. The calendar also plays a part here. If Harvey were to have Tommy John surgery today, he would likely unable to pitch at the MLB level until August of 2014. Most teams would not bring back a pitcher that late in the season. At best, he'd get a "cameo appearance," as when Stephen Strasburg returned for five games at the end of the 2011 season. If Harvey has the surgery at any point up to December, there wouldn't be a significant change in his timeline from surgery now. Essentially, the Mets are gambling a full year in 2014 versus a handful of starts at the end of the same season. That seems reasonable to me. Was Overuse the Issue Here? Sprained UCLs happen in one of two ways. Commonly, the ligament is worn down, fraying under excessive loads due to poor biomechanics and overuse. Pitching while fatigued transfers more of the load to the ligaments rather than the muscles. Less often, a ligament will just fail—i.e. "pops." Harvey was being monitored closely by the Mets, working in accordance with a preseason plan for the right-hander. I asked Bill Petti, who writes at FanGraphs and is very experienced with pitcher fatigue and advanced research on PitchFX. Petti indicated that there was no real sign of fatigue or problems using their advanced measures. Harvey has had high pitch count games in the past, including a 157-pitch game in college, which brings us to the heart of the problem. Many pitchers have significant overuse during their amateur careers, whether at high school, college or in the vast travel and showcase network that has developed in the past 20 or so years. Dr. James Andrews believes that the overuse during adolescence is the biggest cause of later arm injuries among pitchers. That said, there is no indication that the Mets were worried about Harvey's elbow, aside from the normal concerns a team has about its ace. There is no record of any elbow injuries and Harvey is regarded as being very conscientious about his routine between starts, including conditioning. One can assume (though I cannot confirm) that the Mets would have checked him closely when signing him, especially given the size of his approximately $2.5 million bonus. Compared to past usages, including those of former young Mets phenoms like Dwight Gooden and Jason Isringhausen, it's very hard to call anything the Mets did with Harvey "overuse." What Will The Rehab Entail? The next four to six weeks won't be a normal rehab for Matt Harvey and the Mets medical staff. For the most part, they will allow Harvey's arm to rest and for the ligament to heal while continuing to be monitored for any signs of change. That will likely include regular imaging, probably by ultrasound (which can look at the ligament in real time). While the Mets did not say that Harvey had or will have PRP, it is a standard technique. In 2011 at the ASMI Injuries in Baseball course, Dr. James Andrews said he intended to use PRP in every case of elbow inflammation and elbow surgery that he performed, despite the lack of clinical studies to validate the use. 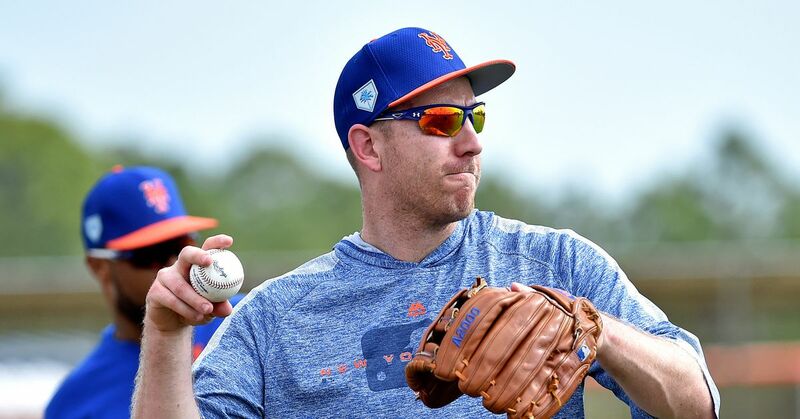 Beyond PRP, Harvey will have a full complement of sports medicine modalities at the hands of both the team medical staff and the staff of Dr. Altchek at the Hospital for Special Surgery in New York. Why Didn't Harvey Have a Biomechanical Evaluation? The Mets did a reasonable job of trying to keep their ace healthy. Again, there was a plan going into the season and he was monitored closely. About the only thing we don't know is the forces that Harvey put on his arm with every pitch. This could be determined by a biomechanical evaluation. These tests, shown in the video to the right, tell us, very simply, whether each pitch is either in the normal, higher or lower range for how much force an elbow or shoulder can take. While we can't say exactly how much force Harvey's elbow can take since every person is different, we can get a better idea of whether or not Harvey was at increased risk. Those pitchers who are at increased risk can be monitored more closely, given exercises to help build the affected area, or, in the extreme cases, have their pitching mechanics altered. The test is not time-consuming or expensive. I asked Tony Laughlin, who helps run the program at the American Sports Medicine Institute, how much an evaluation would cost. He told me a test for a professional pitcher would go for about $1,000 and take roughly half an hour. Add in the cost of travel and lodging and that's still nothing compared to the value of a young ace like Matt Harvey. Harvey signed for a $2.5 million dollar bonus, so the Mets were willing to invest a lot in their former No. 7 overall draft pick...but almost none in keeping him healthy. It's like buying a Ferrari and cutting corners on the insurance. Of course, this isn't a criticism of just the Mets. Only two teams, the Brewers and Orioles, do biomechanical evaluations on all their pitchers, and only a handful of others do some evaluations. Has Anyone Else Come Back From This Without Surgery? Several pitchers have been able to avoid surgery after a low-grade UCL sprain. The best known is Takashi Saito, who was the first known MLB player to have PRP therapy. Others include Zack Greinke, Adam Wainwright, Ervin Santana and Scott Atchison, as well as a number of minor leaguers. In the vast majority of cases, the pitcher does end up having surgery. While there are no studies on this that I could find, the rate is probably well above 75 percent. While this doesn't bode well for Harvey, the chance that he could become one of the successes is certainly worth the effort of the six-week rehab. When Will Harvey Be Back? Harvey is done for 2013. He was getting very close to the point that manager Terry Collins and the Mets might have been contemplating whether to shut him down. If he is able to avoid surgery, he will be ready for spring training. If he is forced to have Tommy John surgery, he will miss a minimum of 10 months and likely would miss the entire 2014 season, as I detailed above. While there is no guarantee that Harvey will be back to level on schedule, recent studies have indicated that the success rate is nearly 90 percent in the major leagues. While there are failures—and more recent failures, such as Ryan Madson and Daniel Hudson—the rate of success for this surgery is so good that many take it for granted. What Surgery Might He Need? Dr. Altchek is one of the top surgeons performing Tommy John today. Pitchers such as Pedro Martinez, Carl Pavano and Mark Mulder are past patients of Dr. Altchek. The standard timeline for recovery is usually listed as 10 to 12 months, though you will occasionally see it listed as 12 to 18 months. I would expect Harvey to be on the standard timeline, able to pitch again at nine months and back in a major league rotation by 12, though the calendar may alter those timelines as detailed previously. Will Harvey Be As Good When He Comes Back? Most pitchers come back from Tommy John surgery predictably and return to the same level. Harvey's best comparable is Stephen Strasburg, who returned from Tommy John and was immediately the Nationals' top arm once again. Strasburg had no discernible losses, aside from a year of pitching. What are you doing to stop the next Matt Harvey from going through this struggle? Will Carroll has been writing about sports injuries for 12 years. His work has appeared at SI.com, ESPN.com and wrote Saving The Pitcher in 2004. All quotes were obtained firsthand unless otherwise noted.